The Mandarin of Mainland China and that of Taiwan are fundamentally very similar. The said, there are several differences related to vocabulary, grammar and pronunciation. For now, let’s focus on the third area. There’s a number of words that officially have different tones. Check out the video below to see what I mean! The neutral tone, which is common in Mainland Mandarin, rarely appears in Taiwanese Mandarin. The words in the table below show how the tone on the second syllable becomes neutral in Mainland Mandarin, but not in Taiwanese Mandarin. In an earlier video we saw that some sounds in standard Mainland Mandarin are pronounced differently by many Taiwanese Mandarin speakers. For example, zh/ch/sh sound like z/c/s. Challenge: Listen to the two audio clips below. In which clip do you hear the sounds zh, ch, sh change to z, c, s? wǒ yào chī shí kuài qiǎo kè lì， hái yào hē shí bēi guǒ zhī 我要吃十块巧克力，还要喝十杯果汁。I want to eat ten bars of chocolate and drink ten glasses of juice. wǒ yào cī sí kuài qiǎo kè lì， hái yào hē sí bēi guǒ zī 我要吃十块巧克力，还要喝十杯果汁。I want to eat ten bars of chocolate and drink ten glasses of juice. Another key difference is the use of "Erhua". This is a feature of Mainland Mandarin that’s largely absent from Taiwanese Mandarin. To illustrate the “erhua difference”, let’s use the word 好玩 (fun). 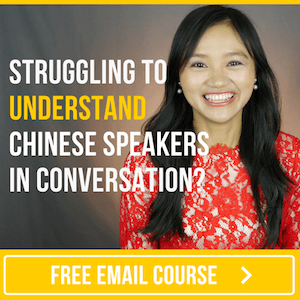 There’s a general perception that the Mandarin you hear in Taiwan (and southern mainland China) sounds softer than that spoken in northern China. The fact that northerners use a lot more “Erhua” is a big part of the explanation for that perception.